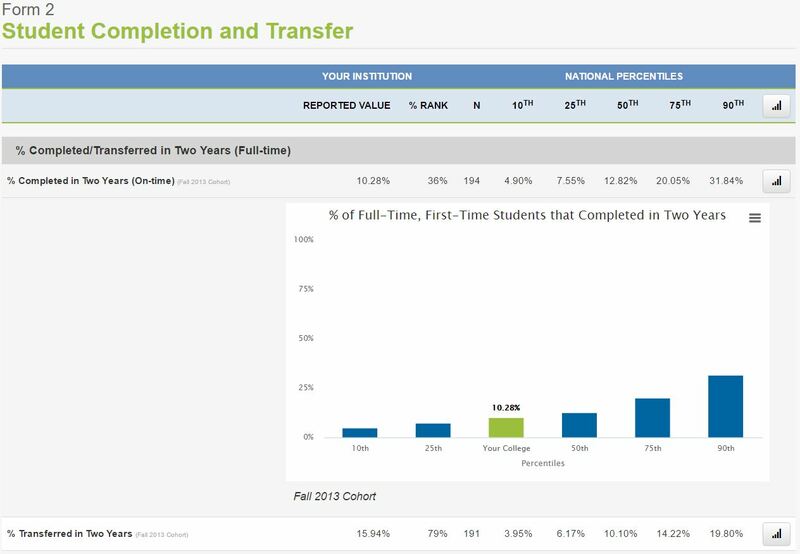 Know how your community colleges are performing nationally and across your system—and track how your initiatives are helping your individual school reach its goals, each year you participate in NCCBP. Reports include your college's benchmark values and percentile ranks, as well as the 10th, 25th, 50th, 75th, and 90th percentiles of national data for each benchmark. If your college is part of a system which participates in the NCCBP, a report of system results is also available. Results for non-credit benchmarks are reporting in the same format for easy comparison.